Whatever you wish may be, Cocohut Beach Resort&Spa make sure that we listen to everything you have to say and then create the setting for your heart desires. 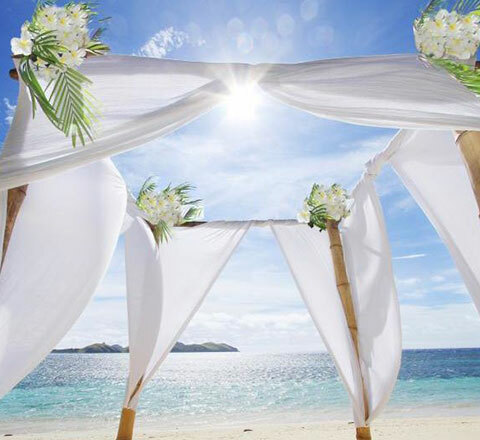 Your beach wedding in Cocohut beach has been set-up by nature herself. Endless white soft sand along frothy waves with the endless blue sky is the backdrop of your dream wedding in Koh Phangan. We handle the finest of details so that when you walk down that aisle or look through the sea of familiar faces, you know that your dream wedding come true. Cocohut Beach Resort & Spa sits on elongated beach frontage of sandy beach. This beachfront venue offers wedding and dining options. 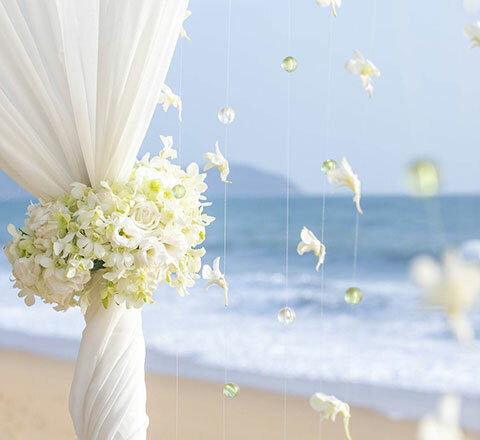 The vibrant backdrop of Cocohut Beach Koh Phangan and blue waters of the gulf of Thailand, allow you to frame your wedding in the most romantic and beautiful setting surrounded by lush coconut trees and tropical landscaping. With limited availability, please contact our wedding specialist today via e-mail to sales@cocohutgroup.com, info@cocohut.com to discuss your wishes. 1 room for preparation 13.00 – 18.00 hrs.